Please do not redistribute without permission, since running this site is expensive. 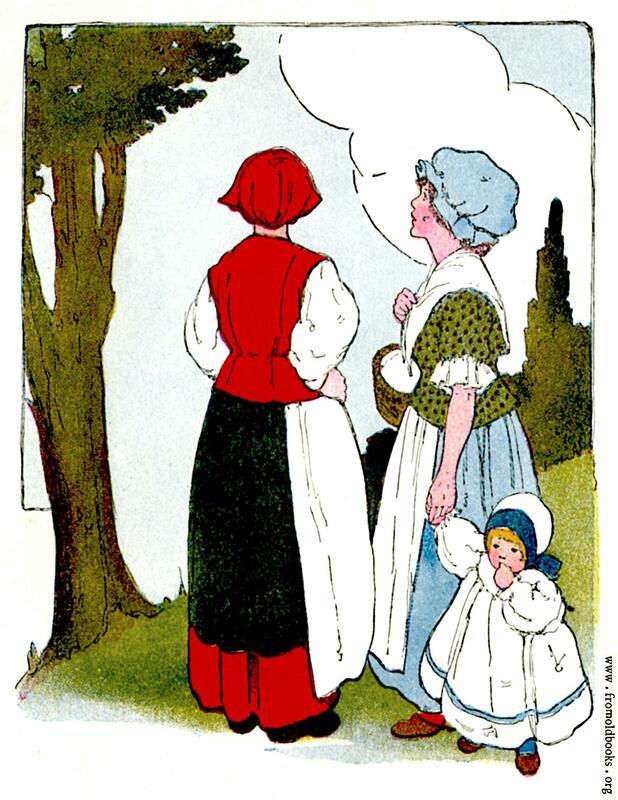 Two women stand on a path; one holds a basket under one arm and leads a small child with her other hand. the other faces away from us and has hands on hips. They exchange gossip under a tree. Is gone up to the moon!